In sweetcorn (Zea mays L.), embryo Zn is accumulated mainly as Zn-phytate, whereas endosperm Zn is complexed with a N- or S-containing ligand. Understanding the speciation of Zn in crop plants helps improve the effectiveness of biofortification efforts. Kernels of four sweetcorn (Zea mays L.) varieties were analysed for Zn concentration and content. We also assessed the speciation of the Zn in the embryo, endosperm, and pericarp in situ using synchrotron-based X-ray absorption spectroscopy. The majority of the Zn was in the endosperm and pericarp (72%), with the embryo contributing 28%. Approximately 79% of the Zn in the embryo accumulated as Zn-phytate, whereas in the endosperm most of the Zn was complexed with a N- or S-containing ligand, possibly as Zn-histidine and Zn-cysteine. This suggests that whilst the Zn in the endosperm and pericarp is likely to be bioavailable for humans, the Zn in the embryo is of low bioavailability. 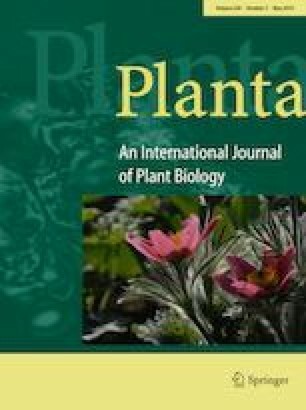 This study highlights the importance of targeting the endosperm of sweetcorn kernels as the tissue for increasing bioavailable Zn concentration. We thank Jeremy Wykes of Australian Synchrotron XAS beamline for assistance provided during data collection. ZXC, PMK, SMH, TJO and MJB conceived and designed the research. ZXC, PMK, SMH, GM and MJB conducted experiments. ZXC and PMK contributed reagents and experimental tools. ZXC, PMK, SMH, GM and MJB analysed the data. ZXC wrote the manuscript. All the authors read and approved the manuscript. This research was undertaken on the X-ray absorption spectroscopy (XAS) beamline at the Australian Synchrotron, part of ANSTO. This work was supported by the Australian Government Research Training Program (RTP) Scholarship and the Australian Centre for International Agricultural Research (ACIAR) [SMCN/2012/029].